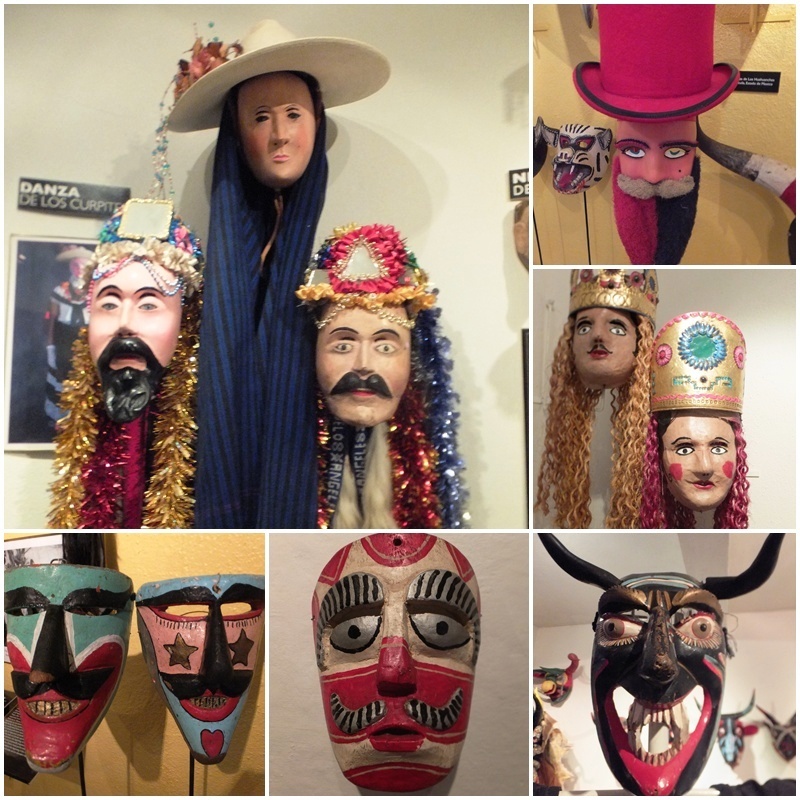 March 3, 2014, another gorgeous day, started with a visit to the Mask Museum of San Miguel de Allende. Former advertising executive Bill LeVasseur, who originally hails from Maine, has long been passionate about Mexico, its traditions and culture. Over many years he has amassed an extensive collection of ceremonial dance masks. More than 500 masks from different parts of Mexico speak to the different dances and ceremonies that have long been celebrated in the agricultural and human life cycle of Mexico’s indigenous people. 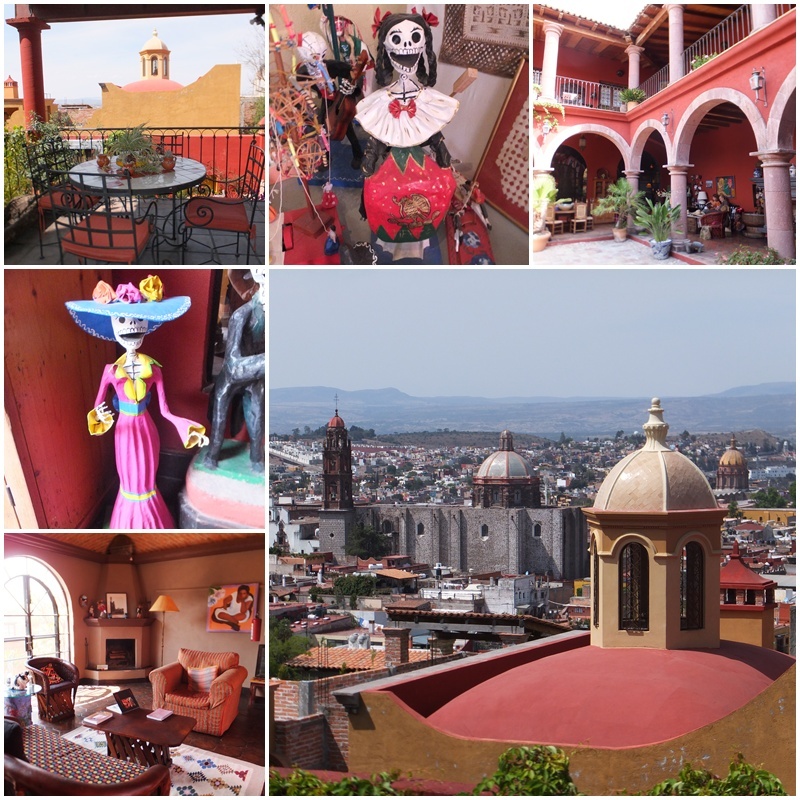 Bill LeVasseur and his wife Heidi, a renowned folk artist, not only run the Mask Museum of San Miguel de Allende and the associated folk art gallery, they also operate a bed and breakfast called “La Casa de la Cuesta”. Located in an absolutely stunning Mexican mansion, this B&B has 7 unique guest bedrooms, several patios and a phenomenal roof terrace with outstanding views of the rooftops and church cupolas of San Miguel. The property is lavishly decked out with authentic Mexican art and antiques, and dotted with planters overflowing with subtropical plants. Guests can enjoy many attractive sitting areas to relax in. All 7 bedrooms were occupied, so we were not able to enter the bedrooms, but just as I was about to leave a couple who was staying here actually pulled me aside and showed me their own and their friends’ beautiful guest bedrooms. When guests pull you in to show off their bedrooms that must mean that you are in a great place. La Casa de la Cuesta’s top rating on Tripadvisor is further evidence of its great guest experience. Around mid-day I headed off with Pablo from San Miguel de Allende’s tourism office to see another unique place: about 10 km outside of town is “La Gruta”, a hot spring spa facility with three outdoor pools and an underground pool with temperatures of more than 40 degrees Celsius. This area outside of San Miguel has hot springs, evidence of ancient volcanism. 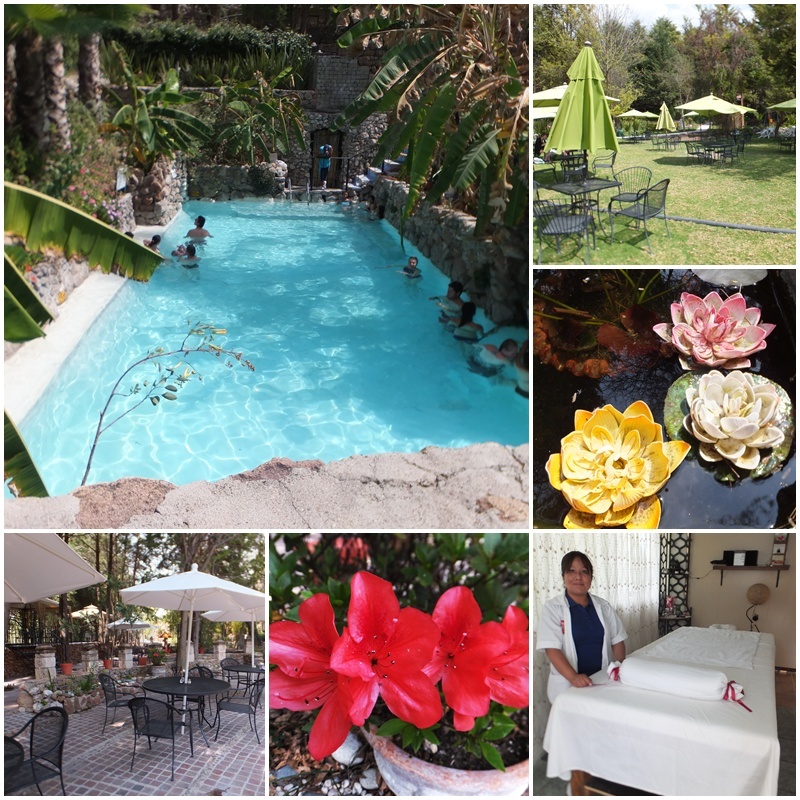 Not only can you swim and relax here, a restaurant and massage services are also available. I could not resist and went for a 30 minute relaxation massage. After Rosa Maria was done with me I was ready to melt. At an admission price of 110 pesos (less than 10 US$) for a full-day visit, La Gruta is a great place to relax and spend the day. Just a few minutes from La Gruta is the Sanctuary of Atotonilco, a UNESCO World Heritage Site and one of Mexico’s most significant historical sites. Built in the 18th century by Father Luis Felipe Neri it features opulent Mexican Baroque murals on every wall that took artist Antonio Martinez de Pocasangre over 30 years to paint. The church complex also played an important role during the Mexican War of Independence from Spain. The Sanctuary of Atotonilco remains an important pilgrimage site with up to 5000 visitors a week and is known for its special Semana Santa (Holy Week) rituals that involve penance and self-flagellation. 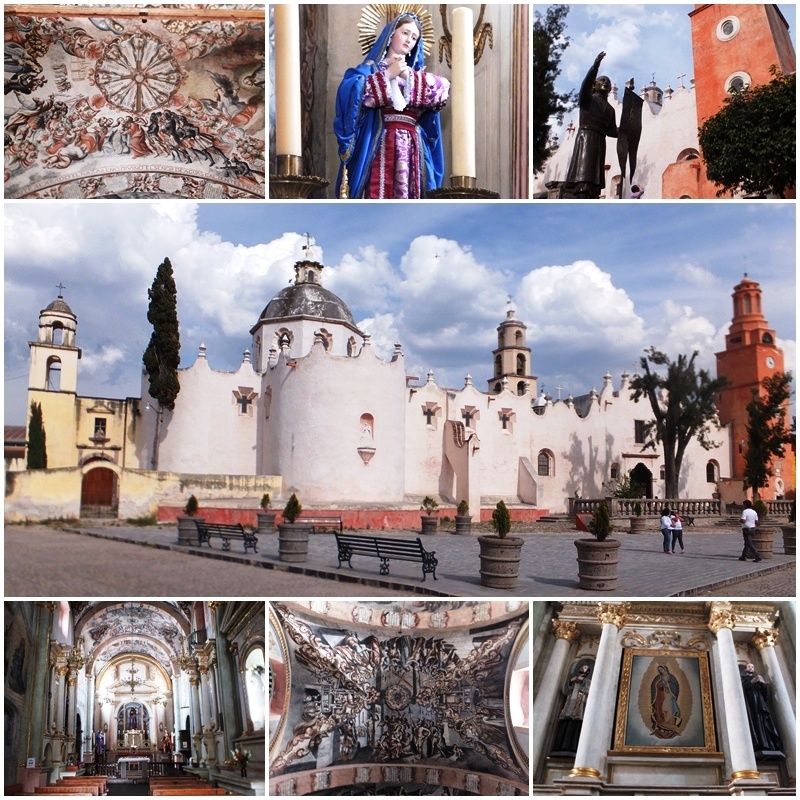 With its history and its impressive art, Atotonilco is a wonderful destination. On the way back towards San Miguel, Pablo had another stop in mind: La Fabrica Aurora, a former textile mill that has been turned into a complex of artists’ studies, galleries, retail stores and restaurants.